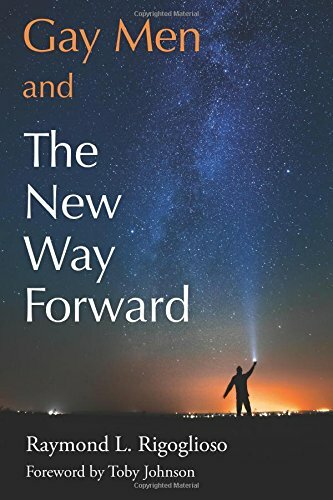 Rigoglioso, Raymond L. “Gay Men and The New Way Forward”, Mond Press, 2015. “Gay men are just like everyone else” and “Gay men are inherently different”, we are aware of the truth in both statements. While we strove for equality, many spoke about the commonalities that we share with the straight world but as this book tells us, we also possess great gifts (and I, for one, am not ready to cede those). Speaking for myself, I think that we have played an important role in society even while being the underdog. Rigoglioso looks at these gifts as roles that we play in today’s world and he breaks them down into fourteen in number that are distinct. We read something of our history here and see how we have managed to come out of a history that had for so long used us as victims and then we became the teachers who showed others what the word humanity really means. Because now we can see how we have contributed to the larger population, we are acutely more aware of what equality means and use that to begin a new period in history. We have been so busy worry about others that we have seldom taken time to look inside of ourselves and herein lies the beauty of Rigoglioso’s work. He invites us to introspect and to self-assess— in this way we can discover how each of us can help heal the ills that exist today and at the same time reinvent the idea of manhood while contributing to the spirit of humanity. This may sound lofty but it is just a matter of our tapping into ourselves. It is so important to remember that just as we are like others, we are also different from them. It is only when he can comprehend what we have indeed given to society that we can draw up a case for a new equality and thus not only does society begin a new era but so do we as gay men. I usually do not say this after a first reading of a book but I must tell you that I love this book. Not only does it tell us a lot but it does so clearly and concisely and then it challenges us to discover ourselves in a way that is enlightening and for me, rewarding. Rigoglioso wrote this as an invitation to self-discovery and I found that to be exciting. I learned things about myself that others do not know perhaps but will soon because I validation I received can now be passed on to others. I am totally fascinated by how much history the book contains but unlike some historical texts it is not overwhelming. We get practical history here but more than that, we get a guide to check ourselves and once we do, we are ready to move on to the community, society and the world. We get a sense of confidence here— a confidence we should already feel we own. After all, we are now allowed to marry each other in many places and just five years ago, most of us would have never thought we would never see that day. If we can do that, there is little, if anything. that we cannot do. One reviewer wrote that the book shows us how to be a gay man today and I want to go a step further and say that it is not just about how to be a gay man, it shows us how to be A MAN today. Rigoglioso has tapped into “the social, psychological, ethical, and mythical roots” that we need to understand and appreciate. He wants us to go on a journey in which we leave shame far behind and move into a world of self-love as we look at what we have given, both socially and morally, to the world in which we live. He sees a world where we can love each other and the rest of the world as well and that love will be returned to us. The time has come of us to stop pondering the major questions of who we are, where we came from and what we are for and to begin answering them in the best ways we know how. That means not only accepting ourselves but allowing others to do the same. Now that the proverbial closet is wide open, it is time to set out from it and let the world see the real answers to those questions. By accepting and embracing our identities the world becomes a better place. If it sounds simple that is because it is. The problem has been that we have not always thought so. This entry was posted in GLBT non-fiction on March 2, 2015 by Amos.